The Valley at Eastport Golf Club was formerly known as Eastport Golf Club but was renamed after it recently reopened under new ownership. The Valley at Eastport is located in Little River, South Carolina and it has been a favorite among locals and tourists alike since its reopening. It is a short but fun course to be enjoyed by all. The Valley at Eastport borders the scenic Intracoastal Waterway and has natural rolling terrain with narrow fairways surrounded by thick trees. Length off of the tee is not a requirement on this Myrtle Beach golf course but, accuracy is. Each hole is different and requires some strategy as you navigate your way through the fairways to undulating MiniVerdi greens that feature subtle breaks. 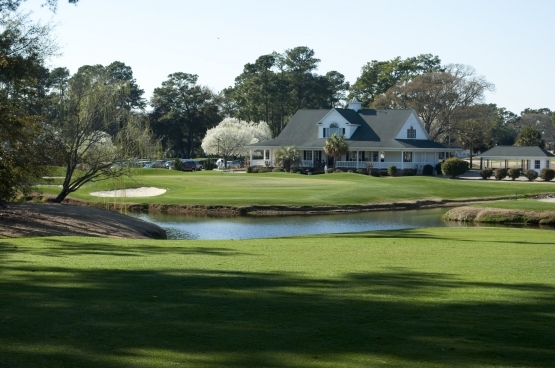 Located just minutes from the heart of North Myrtle Beach makes playing a round at The Valley at Eastport very convenient. After your round at The Valley at Eastport visit the Waterfront in Little River and enjoy some of their fantastic restaurants such as Patio’s, Key West Crazy and Crab Catchers. To get the very best in Myrtle Beach golf deals book a Myrtle Beach Golf Authority golf package. They are your one stop shop. They will book your Myrtle Beach tee times, North Myrtle Beach and Myrtle Beach accommodations and other Myrtle Beach entertainment. A Myrtle Beach golf lesson from a renowned Myrtle Beach golf instructor will make your rounds more enjoyable, not only in Myrtle Beach, but when you return home. Book your Myrtle Beach golf package today!